Dr. Emmet Fox was a Minister, Author, Teacher, Healer and Mystic. 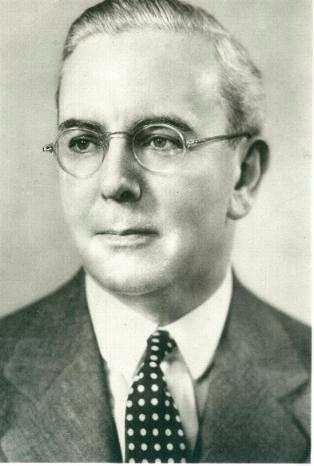 Emmet Fox, probably more than any other New Thought leader has influenced more people simply because, in his day he attracted wider audiences than anyone else for longer periods of time. To this day, Emmet Fox is read more widely and is understood more clearly than any other New Thought writer. His objective, as a New Thought teacher has always been, not to establish yet another religion, not to establish yet another set of religious doctrines, but to encourage individuals, whether they attend church or not, to develop their own creative power and to personally understand what God is, and what God is all about, and then to be able to relate that to their own lives. In his day, and to this day, Emmet Fox reached more people because he had a talent to speak and write with great clarity, and in a very dynamic way. His message was simple and direct. He said, "Sooner or later you will have to put God first in your life, God must become the only thing that really matters. In 1931, he became the pastor of The Church of the Healing Christ in New York city, founded by Dr. W. John Murray in 1906, and was called The First Church of Divine Science, in New York City. He was ordained a Divine Science Minister by Dr. Nona Brooks. This was the beginning of one of the most remarkable ministries in America. His Sunday morning lectures at the Hippodrome Theatre, the Manhattan Opera House and Carnegie Hall were attended by over 5000 people. His meditations were powerful and his sermons never lasted more than twenty minutes. He spoke to, and of God in the most personal and intimate terms. Over six hundred thousand copies of his book "Sermon on the Mount" have been distributed and are still popular today. It is in this remarkable book that he reveals a source of universal power that is rightly yours. "This power." states Dr. Fox. is the real source of all things that exist. It needs only to flow into your being and transform itself into health, into true prosperity, into inspiration, or into anything else you may be needing. The power is there. It is present everywhere. It belongs to nobody in particular because it belongs to all. It is waiting at all times for men and women to call it into use -not merely in crisis, but in every problem however small every day of your life. "The fact that most people do not suspect the existence of this Power does not change the fact that it is there," says Dr. Fox. Discover more about Emmet Fox in the newest book about his life and teachings - "Emmet Fox The Modern Mystic."